Copthorne Hotel Effingham Gatwick is set in 40 acres of gorgeous parkland and is one of the best venues an asian wedding photographer could possibly ask for. This image was taken at an Indian wedding reception. 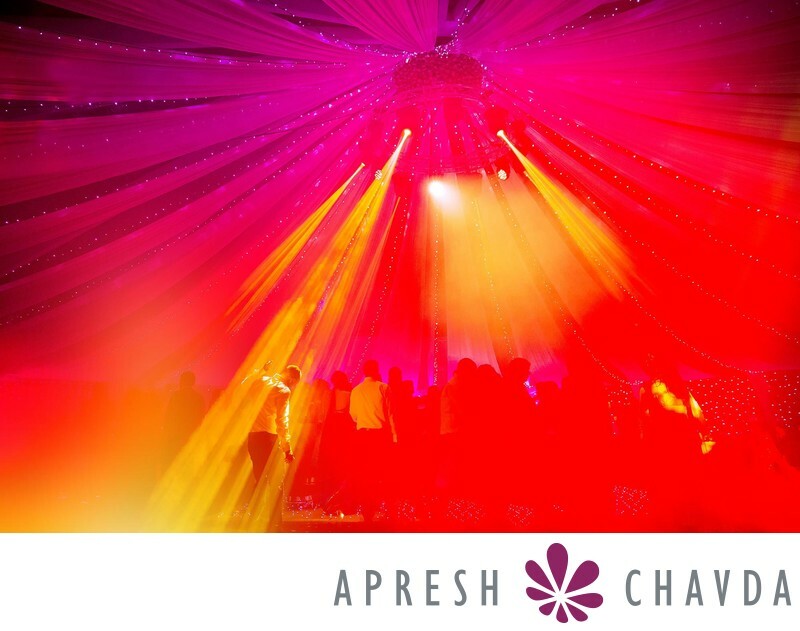 What I love about this photograph is the beam of light illuminating the person walking on to the dance floor. It has to be one of my all time favourite wedding reception photographs.